Full Life Care is a non-profit working toward a future where adults with chronic and terminal illnesses or disabilities can be compassionately supported in their communities rather than living in isolation or having to resort to institutional care. Full Life Care is dedicated to enhancing individuals' quality of life, respecting their dignity, and providing for them with care and compassion. Full Life Care is the largest Adult Day Health organization in the Northwest, and a leading provider for low-income individuals. Additional services include in-home care, behavioral health, volunteer companionship, care consultation, and housing support, with sites ranging from Everett to Seattle, Kent, and Federal Way. 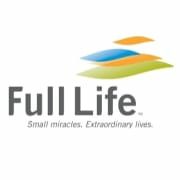 Full Life Care accepts donations. Donate Now. Would you recommend Full Life Care?